Whether you are filing for divorce or have been served with divorce papers, consulting an experience family law attorney and divorce lawyer in the very beginning is important. An experienced Family Law Attorney can give you the proper advice regarding the choices you can make and what impact those decisions may have. Separation and divorce is a very difficult time in peoples’ lives and having a divorce attorney you can rely on is paramount. Hester, Grady and Hester PLLC in Elizabethtown has your interests in mind and the legal experience in the Bladen, Brunswick, Columbus, Robeson and New Hanover County Courts to ensure our clients receive proper legal representation. When considering a lawyer to assist you and your family in legal matters, it’s important to find one that not only understands the dynamics and emotional aspects involved in such cases, but also understands North Carolina law. The majority of family law cases handled by Hester, Grady and Hester involve separation and divorce. In the following section we will focus specifically on separation and divorce law including items such as annulments, child custody, alimony payments, child support and division of property or equitable distribution. 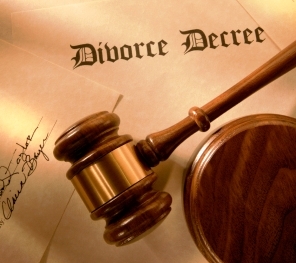 The State of North Carolina divorce law dictates there are two grounds for divorce. The first is separation for one year and the second is incurable insanity. Separation for one year means the husband and wife have separated with the intent of ending their marital relationship and have lived apart for one year. Incurable insanity and the qualifications for divorce include separation of the parties for at least three years due to the incurable insanity of one party. Once the three year qualification has been met, the sane party may then file for divorce. Divorce proceedings begin when a formal complaint is filed with the court. Required information to be included in the complaint are residency, present living arrangements, children of the marriage and grounds for the filing of the divorce complaint. The complaint must then be lawfully served to the other spouse by either the Sheriffs’ Office or by certified mail. Once the papers have been served the parties involved should begin trying to resolve issues regarding alimony, child custody, child support and division of property. If the parties cannot agree on these issues they should seek assistance from the courts. If necessary the courts can make temporary decisions regarding custody of minor children, support payments for the spouse and/or children and visitation rights among other considerations. If you need experienced and trusted family law and divorce attorneys, contact us.